It is very important for us that you know whom you give your confidence. Our pilots are highly professional and have experience of 21 years of air time. The team members are top pilots who all do flying full-time. They are instutors, test pilots and assistant instructors and we have several thousand flights without accident. There are many pilots who own a tandem licence. Please trust only professional pilots. Only instructors and test pilots are able to handle critical moments and to guarantee an unforgetable experience in the air with a maximum of joy and safety. 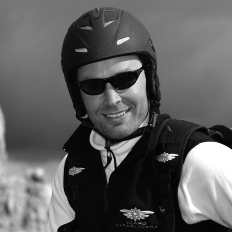 At home in the italian mountains, started as professional skier, skiing instructor and instructor for the military rescue team and found his real passion in paragliding. 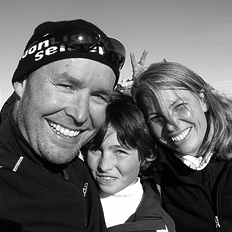 Manager, skiing instructor, acro pilot, test pilot and paragliding instructor.